Looking east on the Dave Clark Path with a new, discreet but helpful sign. 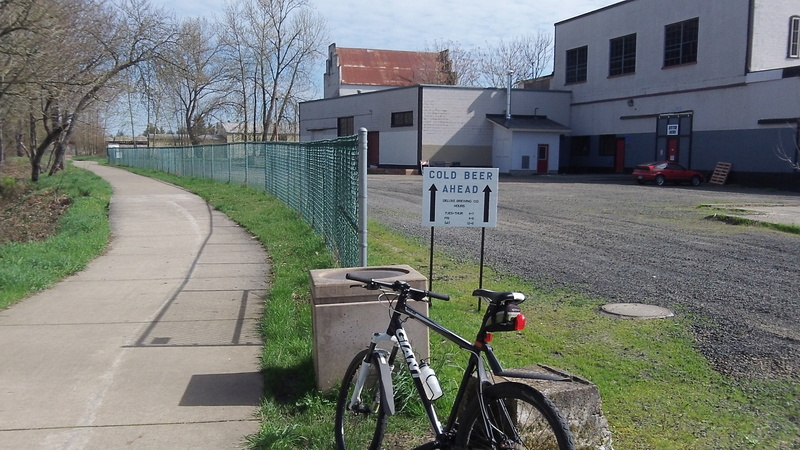 Now there’s something to look forward to if you take the Dave Clark Path along the Willamette River in Albany to finish a long ride on a hot summer’s day. 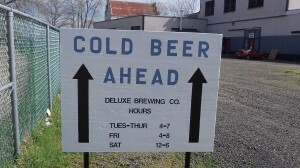 “Cold beer ahead.” Could there be a more welcome sign to cheer the hearts of weary travelers? Or path walkers, as the case may be? So now, when you take a break there during the advertised hours, you will have a choice to make. Tepid water from the bike bottle, with its plastic taste? 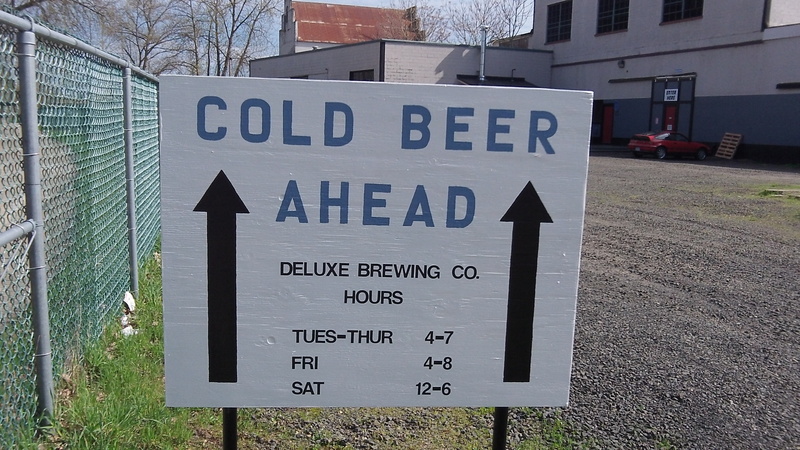 Or a fresh and cool Pilsner just a few feet off the beaten path, in the Deluxe Brewing Co. in the building on the right? Tough choice indeed.